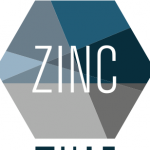 In preparation of “Chroniques” international biennial dedicated to new media art and digital culture, ZINC create a production platform, financed by the Conseil Régional Provence-Alpes-Côte d’Azur (FRANCE), to help the production and circulation of original art. First showing during the Chroniques 2018 exhibits in Aix-en-Provence & Marseille (Local context for our RC large scale exhibition). Another show in one of the locations of the exhibit tour between January and December 2019 in Provence with our partners.